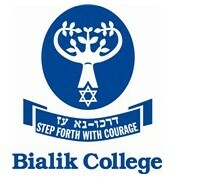 Bialik College, a Zionist K3 - Year 12 School, aims to develop an awareness of their Jewish identity and an appreciation and respect for the wisdom, spiritual depth and ethical foundations of Judism in its students. Endeavouring to ensure that its graduates are committed, tolerant and informed Jews, Bialik also encourages proud, responsible and committed participation in Australian life. Bialik College focuses on the worth of each child, recognising individual differences and interests and aims to develop the full potential of each student. By creating an environment of mutual respect and support among staff and students, Bialik maintains the flexibility and open-mindness required to deal with a constantly changing educational environment. We deliver accredited training via elearning, face to face workshops, and a combination of both known as Blended Learning. Aspin understands the learners need for flexible delivery of courses and via our Flexible Delivery model Aspin is committed to being the trainer of choice. Aspin meets the needs of our clients and delivers professional and personal development to managers and staff within government, business, community and health organisations and the individual. Our accredited and short courses suit learners in many stages of their career and personal development. This course is a full time course which has a minimum of 20 hours contact per week for approximately 40 weeks of the year. Students are expected to contribute an equivalent amount of their own time in research and other areas of study such as location shoots etc. Alia College offers a joyful school experience in a nurturing and creative environment. The school encourages self-expression and stimulates creativity by avoiding unnecessary rules, and is for those who wish to accomplish their personal best academically. Alia, by creating a university type of environment encourages and appreciates students as individuals. The community works with mutual regard for each member, and by the natural excitement of learning. Alia emphasizes group meeting time, community activities and problem solving. Alia holds high expectations of academic achievement and offers daily attention to students, both academically and socially. There are no uniforms at Alia, and teachers and students are on first name basis. Students may negotiate significant variations to their courses if needed. Years: Alia welcomes all students from Year 7 to 12. Latin, Japanese, German, music, dance, and drama. It also has a Japanese overseas exchange program. Co-Curricular Activities: Sailing, individual research projects, independent study, aikido, meditation, chess, stock market trading, debating, photography, camping, skiing, bicycle trips, overseas and local excursions. Each year Alia provides opportunities for students to perform in music, dance, and drama. Sport: Basketball, down-ball, swimming and casual football are favourites at Alia. Students and teachers often run these creative events together and this contributes to community social integration. Open Days/School Tours: Visits and trial days are welcome by arrangement. Didasko Institute of Business is passionate about making a difference to our students lives. We do this by providing a range of affordable, accessible business Diplomas online that lead to an employment outcome. Didasko Institute of Business provide business Diplomas in; Business, Management, Administration, and Marketing, we offer Double Diplomas in Business Administration and Marketing, and Management and Marketing. Through our weekly student intakes, you can be enrolled quickly to start your Business Diploma. Our Diplomas are designed for individuals with little or no vocational experience to those currently holding senior roles in industry. Speak to our Career Consultants who can provide you with expert advice to help you determine which of our business Diplomas will help you achieve your full potential.